Security forces in Dagestan launched a special operation in the village of Novosasitli in the republic’s Khasavyurt district on March 7. According to eyewitnesses, about ten military vehicles, including trucks and armored personnel carriers, entered the village and blocked all roads leading in and out of it. The security forces left the village late in the evening, but an eyewitness sent the Kavkazsky Uzel website a text message stating that while they were there, the security forces beat a driver of a car from another village along with his passenger, a young person suffering from Down’s syndrome, and stole money from them (www.kavkaz-uzel.ru, March 7-8). On March 7, the Investigative Committee’s department in Dagestan reported that it had identified a suicide bomber whose attack on a police post in the village of Karabudakhkent in Dagestan’s Karabudakhkentsky district on March 6 killed five policemen and wounded two. On 17 August, Russian Foreign Minister Sergei Lavrov said he hoped that talks between world powers and Tehran on Iran’s nuclear programme would resume soon, based on Moscow’s proposal. Lavrov met his Iranian counterpart Ali Akbar Salehi in Moscow to discuss the Iranian nuclear program. Akbar Salehi praised the document for its “step-by-step” approach to the dispute. Lavrov was quoted as saying that the Bushehr nuclear plant would begin operations very soon and that the date was being agreed with Tehran. On 15 August, a top Russian official held nuclear talks with high-ranking Iranian officials in Tehran, state media reported. Russian Security Council Secretary Nikolai Patrushev met with his Iranian counterpart Saeid Jalili at the foreign ministry in Tehran. Other issues concerning Afghanistan, Syria, Iraq and also the launch of Iran’s Bushehr nuclear power plant were on the agenda for talks with Patrushev – Iran inked a deal with Russia to purchase the S-300 weaponry systems in 2007. Despite decades of progressively tighter airport security, there has been a wide hole in the net and on Monday terrorists in Moscow drove through it. 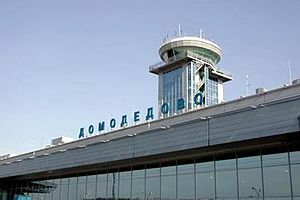 At least 35 people were killed and more than 150 wounded when at least one suicide bomber and perhaps two detonated shrapnel-packed suicide vests among crowds at Moscow’s busiest airport, Domodedovo.